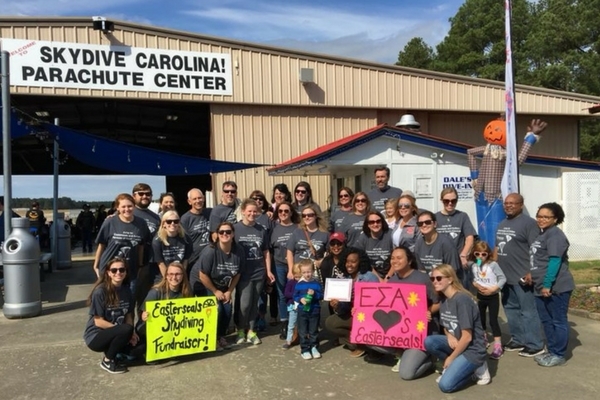 This past October the Easterseals South Carolina visited us here at Skydive Carolina to raise money for their charity — by jumping out of planes! It was an exciting day as the skies were crystal blue, and their crew arrived with incredible enthusiasm to support the jumpers. We had an opportunity to catch up with their Director of Marketing and Social Media, Mary Margaret Crews whom also made the leap that day. Easterseals South Carolina has been serving children and adults with disabilities in our state since 1934. Our mission is to change the way the world defines and views disabilities by making profound, positive differences in people’s lives. We create and apply solutions that change lives of children and adults with disabilities. We do this by providing a variety of programs and services to enhance the quality of life for children and adults with disabilities and their families. We are currently serving 900 families. 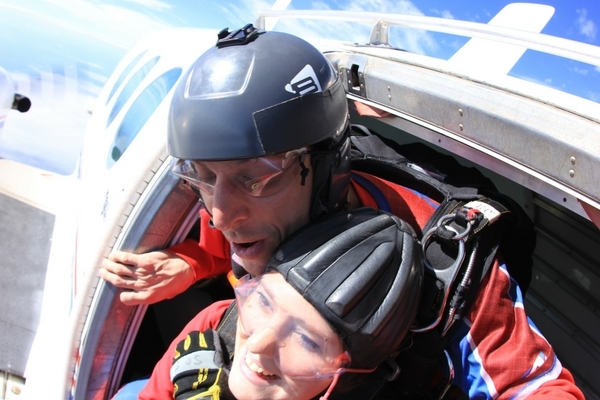 Who came up with the idea and why choose to skydive for the charity? 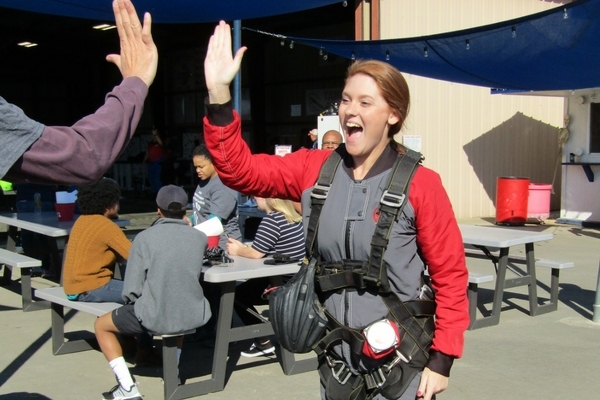 Deanna Lewis, CEO of Easterseals South Carolina and Robert Turnbull, a Board member took the leap back in February 2017 simply to raise awareness of the mission. Robert is a frequent skydiver and got us connected with Skydive Carolina. Shortly after landing, with adrenaline still pumping, they decided that more people needed to be involved and money could be raised. 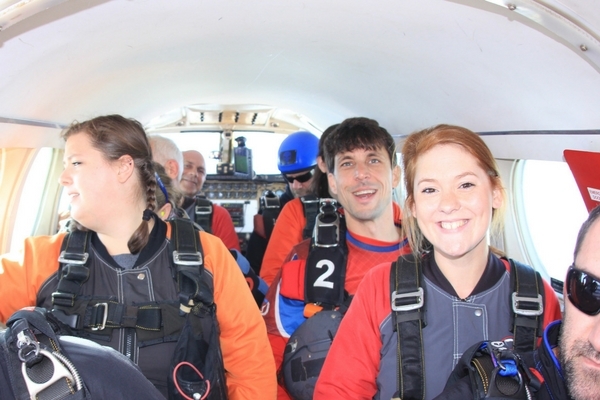 Skydiving is something that people want to cross off their bucket list and if people can do that while helping local families, well it’s a win-win! How many people came out and was this everyone’s first time? We had about 60 people that came out to show their support of those jumping. We had 13 people jump with our group including 9 first timers! Did you make a skydive? I did make the jump! It was incredible. I still cannot believe that I did it- I am so thankful I got the video so I can relive the moment over and over again! Tell us about the experience for you and others. Everyone who jumped with us enjoyed it so much! 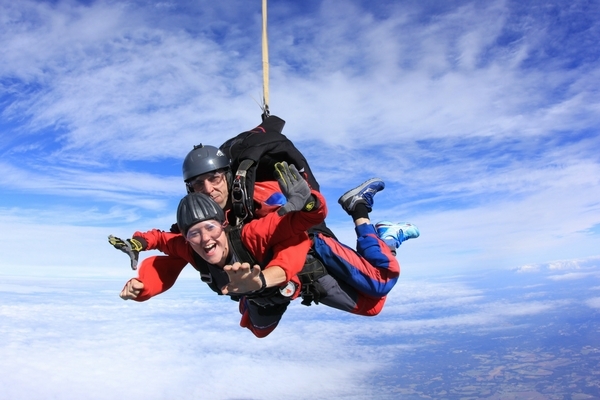 We had 2 people sign up to do another jump that same day! Everyone had a different favorite part- for me, it was the canopy fall. It was so calming and I could see for miles at 360 degrees, which was breathtaking. My twin sister and sister-in-law jumped with me and they loved leaving the plane! I would definitely go again, we are planning another fundraising event for next year! Was the event successful for the charity? The event was a huge success! We cannot wait for next year and we hope to have more people jumping! 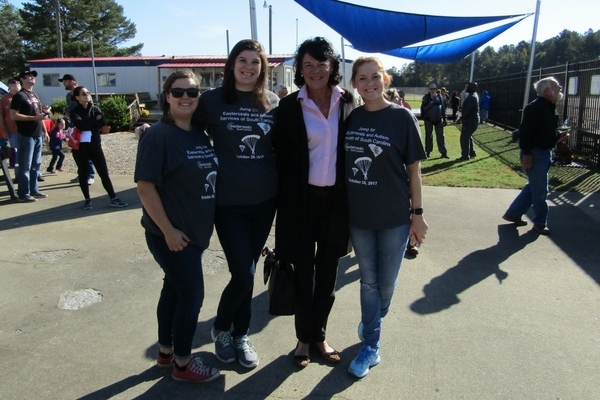 We appreciate all the Skydive Carolina team and everything they did to help make this a successful event! They have top-notch facilities and all the instructors are so professional and fun! 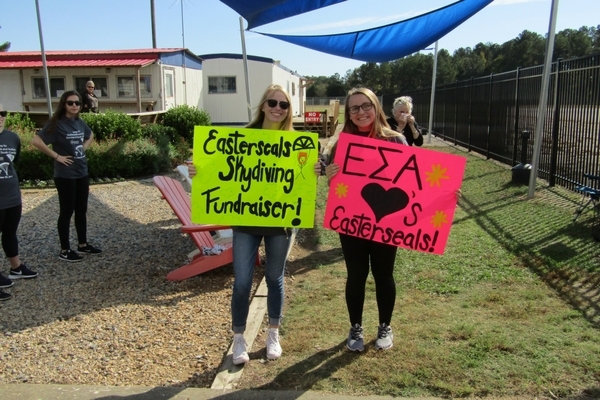 Skydive Carolina would like to thank Mary and the entire Easterseals crew for coming out and making it a special day for all!